Researchers at Duke University set out to investigate whether local conservation actions on coral reefs could boost the corals’ resilience to bleaching brought on by climate change. The answer would appear to be a ‘yes’, especially if you remove coralivorous snails.Faced with global climate change and coral bleaching on a massive scale, some researchers have suggested that local actions to protect reefs are insignificant in the grand scheme of things. However. 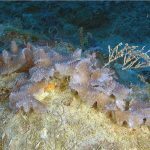 Researchers at Duke decided to look at one factor that can be controlled at a local level, the population of coral-eating snails and starfish. “At high densities, these coral-eating animals, or ‘corallivores’, can cause low-grade but chronic stress to corals. 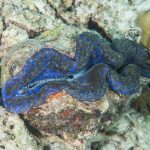 Some of them are like Dracula, constantly sucking the energetic reserves out of corals and leaving them less equipped to deal with harsh environmental conditions like extreme warm temperatures and bleaching,” said Elizabeth Shaver, a 2018 doctoral graduate of Duke’s Nicholas School of the Environment, who is now a coral restoration scientist with The Nature Conservancy’s Reef Resilience Program. 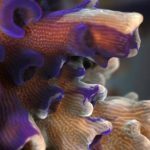 The team, mimicking the actions of many reef management agencies worldwide, removed a particular coral-eating snail species from corals in the Florida Keys during a warm spell in 2014, which was responsible for bleaching across the Caribbean. 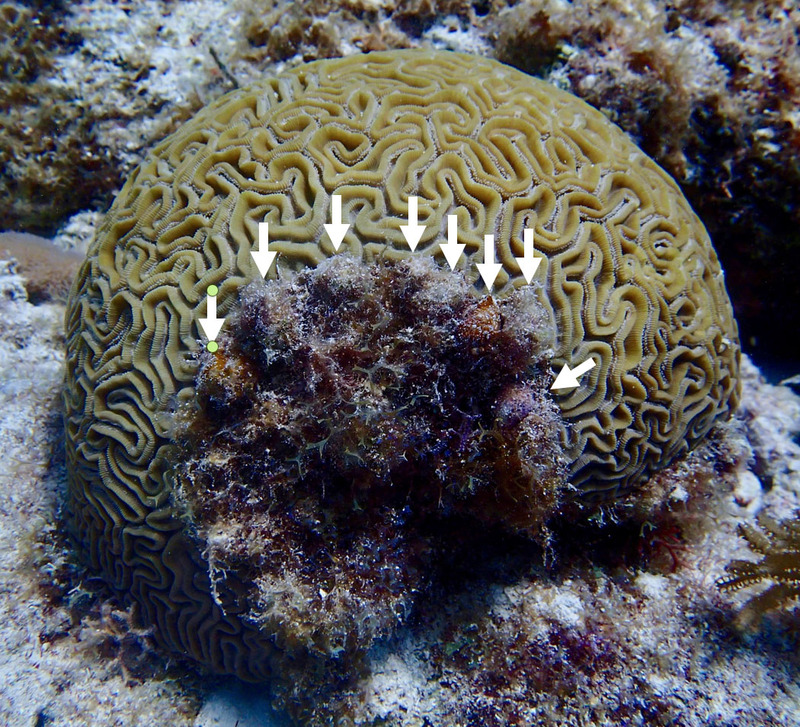 A brain coral shows damage caused by coral-eating snails and the subsequent growth of algae. Photo Credit: Duke Univ. Note: Elizabeth Shaver is available for additional comment at 703-727-8260 or ecs39@duke.edu. Brian Silliman is available for additional comment at 252-504-7635 or brian.silliman@duke.edu. DURHAM, N.C. — Local conservation actions, like rounding up predatory snails, can significantly boost the resilience of corals to climate-induced bleaching, according to a study led by Duke University researchers.